After 20 years in the mobile game business, British indie studio, Full Fat, has become well known as a creator of entertainment for those spare moments we all have during the day. Their new release, Pop Shot! Golf is no exception. Built for all ages and equipped with a simple, one-touch control, this is a perfect companion for any mobile device that can be picked up or left behind at a moment’s notice. 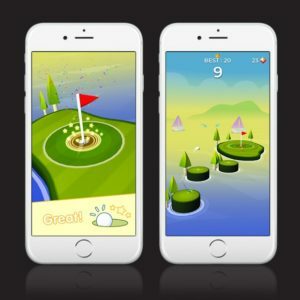 The goal of the game is to hit the ball across a series of islands and then successfully coax it into the flagged hole at the end. Each island has a central area to aim for and, the closer you get to it, the more points you earn. Pop Shot! 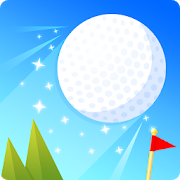 Golf is available for Android & iOS devices. 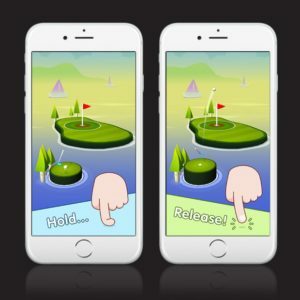 The game is a free download with purchasable in-app items. You can see the game in action in a brief trailer on the Pop Shot! Golf YT channel. If you’re a fan of soccer, you may also want to check out Full Fat’s recently released Pop Shot! Soccer on the Google Play & Apple stores.